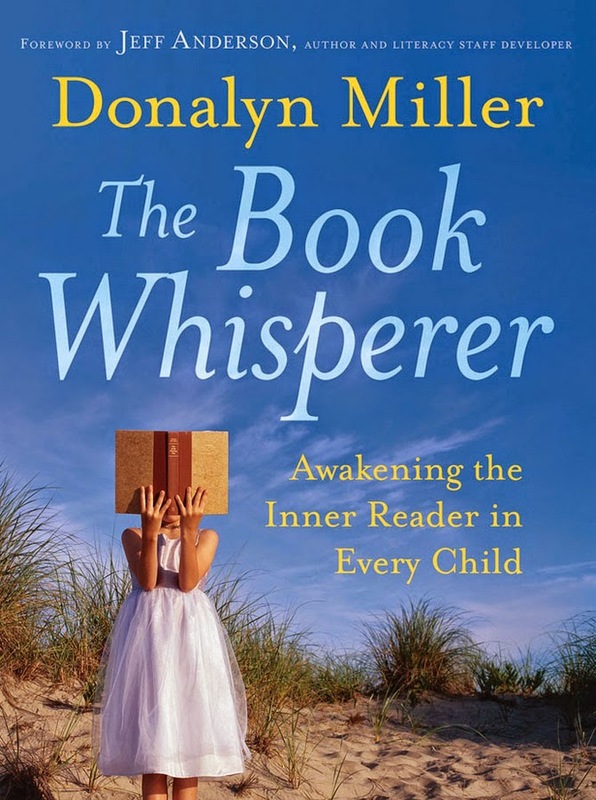 I have been wanting to read Donalyn Miller's The Book Whisperer for a while. I really don't have excuses; the book has been out for 5 years. But now is the time. Time to seize the day and seize the book. We are keeping me accountable. The deal is a chapter a week - posted on Mondays. Manageable. A book by a self avowed book nerd. I already love it. Book nerds tend to be very passionate - maybe over passionate - about their love of books and reading. We all know the book nerd (or maybe are the book nerd) who insists that we just have to read a certain book. Because it's wonderful. I know you will love it. It will change your life. Teacher book nerds are at risk of taking that over-passion into the classroom. Miller found that it didn't work. Her well thought out, creative lesson planning did not result in students who delighted in reading and devoured books. She discovered that the secret is in the letting go. Not in the multi-level comprehension questions. Not in the down to the detail response to reading assignments. Not even in the uber cool art extension activities. But in the letting go of the power and control. Classroom as reading workshop. I like it. But, what does that look like? Miller lists 5 components: time, choice, response, community and structure. But what does that look like? And what does the teacher do? In my kindergarten class, it means that kids read books of their choosing every day. My job is to make sure that our reading time is pretty close to sacrosanct. 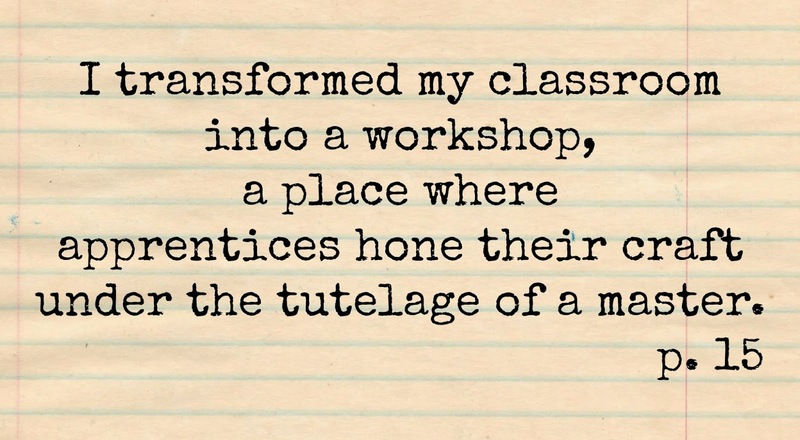 It is not to be whittled away by other curricular demands. And that we have books in our classroom. Lots of books. Quality books. Fiction and non-fiction. A variety of reading levels. Attractively presented. It is expected that the children respond to the books that they read in a natural way. They talk about the books they read. They retell stories with flannel board pieces or with a pocket chart. They incorporate stories that they read into their play. 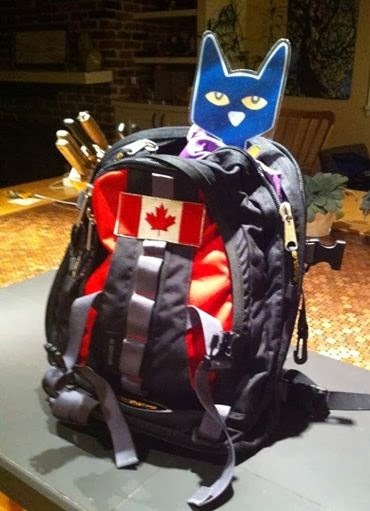 They compare books by the same author -- Which Pete the Cat book is best. Sometimes, they even do yoga. My job is to nurture a community of readers. A community that includes everyone in our room. A community that helps each other. A community that values everyone's abilities and thoughts. 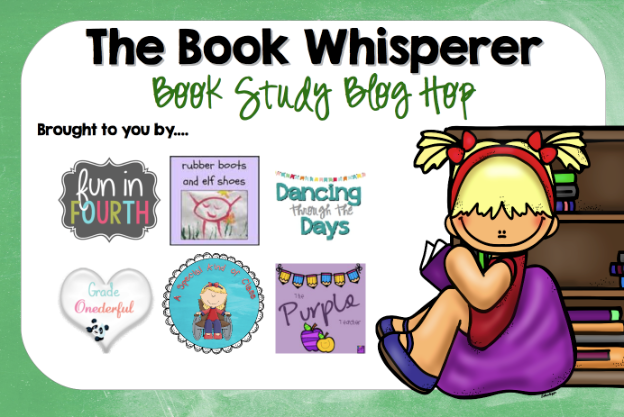 A community that has shared experiences around books. A community that refers to books for information. A community that delights in the reading experience. A community that builds a structure of routines and procedures that help both the students and the teachers. 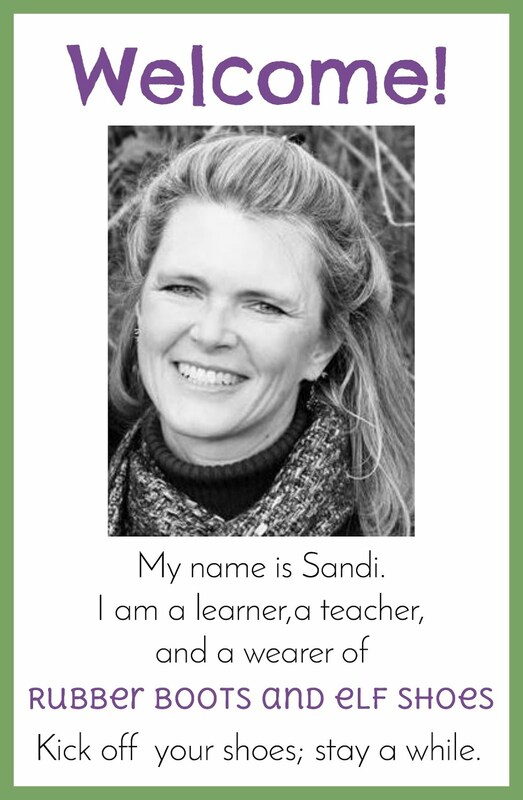 A "reading workshop" needs a "master reader". As the teacher, that would be me. A master models for her apprentices, encourages them, explains the craft to them, shows them how to improve their skills, and hopes to be part of the creation of new master craftsmen. My students need to see me reading. Reading for myself and reading aloud. They need to hear me read with expression - with silly voices. They need to know that I read at home as well as at school. They need to hear me talking about my reading. Saying my thoughts out loud. They need to see me use books to learn new information. They need to see me learn new and interesting things from books. They need to see me laugh with delight, or from the belly, because of a book that I am/we are reading. They need to hear me talk about how reading a book makes me see things in a new way and stretches my thinking. Maybe even changes my thinking. Part of the master reader's responsibility is to present reading material in an accessible and inviting way. Many teachers sort books into bins by theme or author. I don't have a lovely set of book bin labels to give you, but other teachers do. I am looking forward to learning from and learning with these awesome bloggers from my beautiful province of British Columbia, Canada. The kids chose to read a yoga book for "quiet reading". They were quietly doing yoga, following the instructions from the book. Who was I to tell them that they were using the book "wrong" - 'cause they weren't!! I love seeing the same idea from different perspectives/grades. We connected with a lot of the same points. I am looking forward to seeing the different perspectives that we bring to the book as a result of our teaching experiences. I heart Donalyn Miller! We have renamed Reader's Workshop, Reader's Studio this year. It is my favorite part of the day! Reader's Studio!!! That's a fabulous name! Do you also have a Writer's Studio? 'Cause that would be logical. And I really like the idea of a master writer and apprentice writers. 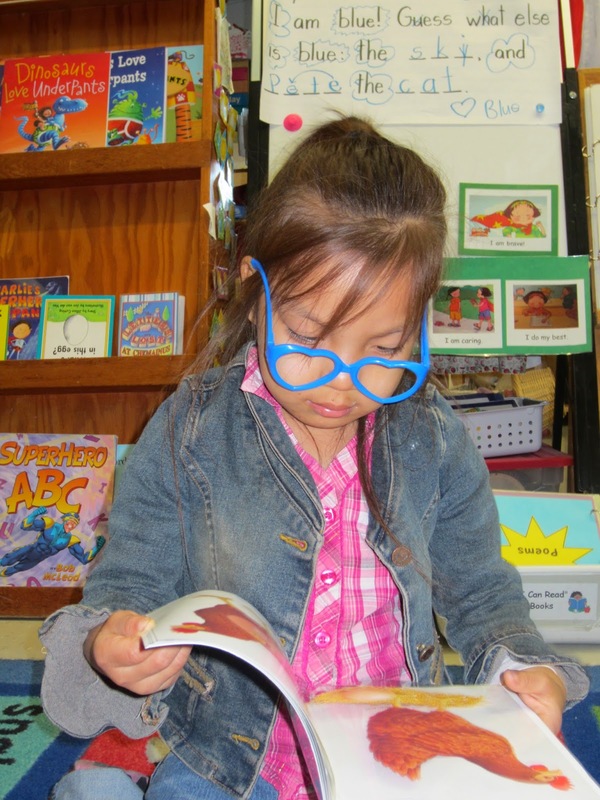 I love the little girl in her reading glasses. Laughing with children over a book is one of my favourite school things. Shared delight. Wonderful. Thanks for the great post, I always enjoy reading a great book with my class. Making funny voices is still something that I need to get comfortable with though :) Readers Workshop/Daily 5 = Love for me. It is amazing to see how students get sucked into reading during this time. Way back when my son was a wee lad, he hated having his teeth clean (probably still does, but since he is 20, it is not my problem any more!). I used to read to him while they were being cleaned to distract him. One cleaning, we were part way through the first Harry Potter, so that's what I read. After a bit, I realized that the place was quiet, not the usual chatter. So I stopped reading, feeling a bit self conscious. The hygienist in the next chair stuck her head around the divider and asked if I could keep going. Silly voiced do have their drawbacks! I know I'm your daughter, so it's a bit different, but thank you for reading to me and letting me see you read. Because now I'm a book nerd! I read the book 2 summers ago and am excited to read through your and others posts. I plan to get my book out and read along. Thanks for sharing. I am a student at The University of South Alabama. I enjoyed reading your post! I cannot wait until I am a teacher so I can read books to my class. Reading can be fun and entertaining for the students. You provided some good ideas and tips in your post. I love that students will read in groups or alone and come up with different ways to express the book. 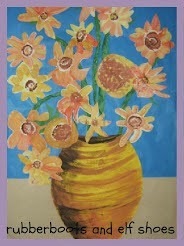 Children are very creative and smart, they can also help us, as teacher, learn.